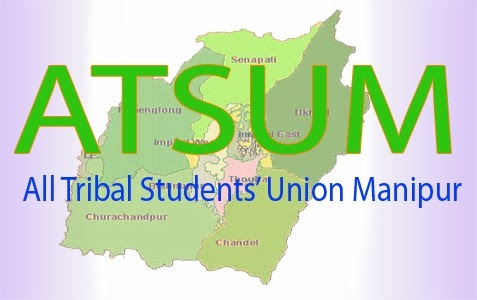 Imphal, Nov 16: Police in Manipur has registered a case against the agitating All Tribal Students’ Union Manipur (ATSUM) for allegedly threatening railway staff and workers to halt all works related with the construction of Jiribam to Tupul railway line. Tunnel construction of the Jiribam to Tupul railway line in Manipur had been stopped since November 12 following ban to the implementation of national projects in the state by a group of ATSUM. ATSUM has banned implementation of national projects including the ongoing railway line construction in Tamenglong district as part of its second phase agitation under the code name ROTO (Reckoning of the Other) and pressing state government to fulfill their demands. The tunneling work at all places in Tamenglong district except at two places has been suspended owing to the imposed ban. The work at Keimai and Oinamlong guarding by the CRPF were, however, going on as usual. The Jiribam to Tupul railway line in Manipur was taken up by the Northern Frontier Railways as a national project. An official source Saturday said that the case which the police has taken up as suo-motu was registered on November 13 last under IPC section 353/506/511 related with assault or criminal force to deter public servant from discharging his duty. In the case registered at Tamenglong police station, it has been alleged that the work of the railway line construction has been stopped after volunteers of the agitation group threatened railway staff and workers.